An interview with Rabbi Yitzchok Elefant, Chief Rabbi of Dimona, whose presentation at the Federation Assembly in Israel brought out the point that the goal for Torah Jewry is about authentic Judiasm, not control. Over the past decade, the Reform and Conservative movements have waged an increasingly intense campaign for recognition by the Israeli government, and, with it, shared control over key functions of the nation’s Chief Rabbinate. A much-used forum toward this end has been the annual General Assembly of the United Jewish Federations of North America, which in recent years has taken place in Israel. While the greatest percentage of time, passion, and spotlighted topics at the gathering is taken up by proponents in favor of changing the 70-year status quo, one of the few voices in defense of its preservation has been Rabbi Yitzchok Elefant, who has represented the Rabbinate at that organizations General Assembly (GA) since 2013, most recently this past October. Serving for more than three decades as the Chief Rabbi of Dimona, a city in southern Israel perhaps most widely known for its nuclear power plant, Rabbi Elefant brings a unique skill set to the convention’s panel discussions: he is the long-serving Rabbinate appointee in a largely non-religious city, and is both English-speaking and American-born. Outnumbered and largely viewed as “the enemy” by the vast majority of attendees, who support a “pluralistic” approach, Rabbi Elefant told Hamodia that he worked hard to frame the Rabbinate’s message as one of concern and responsibility for the Jewish People rather than as a fight for control. Rabbi Elefant said that the other chief point he stressed at the GA was one that is often heard from Orthodox advocates, namely that Reform and Conservative leaders should tend to the crisis in their own camps before focusing on the Israeli scene. While several Orthodox attendees at the gathering said that their positions were not given fair air time, Rabbi Elefant said that he felt the Federation “played fair” with him and other Orthodox speakers on different panels. While the majority of the Israeli public is still largely secular, proponents of maintaining the Rabbinate’s control of marriage, divorce and conversion say that the present system largely maintains the halachic integrity of Jews living in the country and preserves a basic Jewish framework for life cycle events. Rabbi Elefant said that the system is especially valuable to the kiruv movement, as there is little need to question a person’s Jewish descent, despite their prior non-religious background. Polls do show nearly 50 percent support among Israelis for the idea of recognizing non-Orthodox groups. Yet, Rabbi Elefant said, much of this support is based on a lack of understanding of the realities of the Reform and Conservative movements. 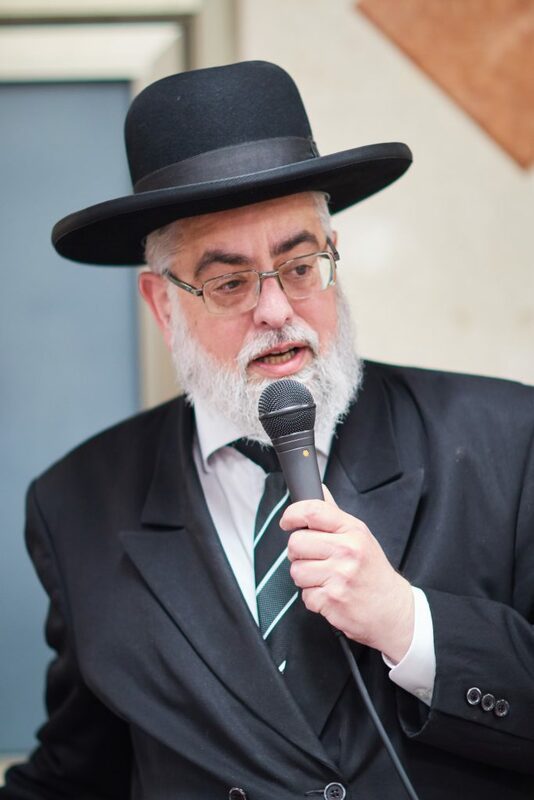 Demographic shifts that predict a steadily increasing Orthodox percentage over the coming decade, Rabbi Elefant said, was another factor likely to change the 50 percent support rate in the not-too-distant future. Whether based on a real or a fictional demand for “alternative” religious options in Eretz Yisrael, pressure from non-Orthodox groups in the Israeli political world has become increasingly intense, and many government leaders seem increasingly willing to consider implementing some of their goals. “A boy comes to shul for a bar mitzvah, there is no one there to follow up and try to form a relationship with him and the family,” he said. So far, Rabbi Elefant has installed 13 Rabbanim in nine different cities, who are paid by privately raised funds, not under the auspices of the Rabbinate. Those chosen include Ashkenazim and Sephardim, as well as individuals from both chareidi and religious Zionist backgrounds. The emphasis is on selecting individuals who will be able to relate to the local populace. Ironically, the plan was born out of a legal challenge brought by the self-same pluralistic forces that Rabbi Elefant is trying to fight. Since a Supreme Court ruling that mandated the Rabbinate to appoint ordained members of non-Orthodox movements, existing Chief Rabbis have simply refrained from installing anybody into the many posts under their jurisdiction. The result is a dearth of qualified Rabbanim to reach out to or service many secular or even traditional communities. Rabbi Elefant said that his own experiences in Dimona, which has a relatively small Orthodox population but a large contingent of traditional families, have proven that such an approach can make meaningful inroads with individuals, and can, over time, change communities. Born and raised in Boro Park, Rabbi Elefant is a grandson of Harav Eliezer Zev Kirzner, zt”l, who led the Bnei Yehudah shul for many years. He himself is a talmid of Harav Tuvia Goldstein, zt”l, who granted him semichah. Shortly after his marriage to Mrs. Sorah née Gorlin, the couple moved to Eretz Yisrael where he applied to serve as a Rav for the Chief Rabbinate. He was elected as Rabbi of Dimona, where he has served ever since. Although challenging, Rabbi Elefant said that the GA is a unique opportunity for Orthodox leaders to articulate their positions to non-Orthodox advocates in a framework that does not compromise Torah values. He said that while there is value to communication with Reform and Conservative leaders, dialogue with secular Israeli politicians is far more important.